Does Having Members Make Building Community Online Easier? The Daily Fix is taking part in the virtual book tour Maddie Grant and Lindy Dreyer are doing to explore concepts from Open Community: a little book of big ideas for associations navigating the social web. In this post, Lindy tees up an excerpt from the book, which talks about the difference between knowing your business and knowing your community. Maddie and I come from the association industry, where membership is at the core of our business model. You might think of the MarketingProfs membership model as an example, but actually the MarketingProfs model is just one example of a thousand different variations on the membership theme. For many of us membership people, community is old hat. It’s what we do. It’s central to our work. And yet, for some reason (actually a lot of reasons), what we know about community isn’t always translating well to building community online. Until very recently, associations “owned” their community. These tended to be very closed systems, where the association itself had a huge amount of power by controlling the ways in which members were able to communicate with one another. If you wanted to have access to other members, you joined and kept up with your dues. Some associations still operate quite successfully this way, at least for the moment. And so, for a lot of association executives, the natural way to approach social media was to recreate their closed systems using new, shiny tools. But that’s not enough; paying dues is no longer the only way for me to interface with an association’s community. It’s a classic value problem, and no amount of marketing can fix that. The only fix is a new approach to online community for associations. That’s why we wrote the book Open Community. Your Open Community is your people who are bonded by what the organization represents and care enough to talk to each other (hopefully about you!) online. The book covers concepts that are critical for connecting with your open community. This isn’t rocket science, but it challenges the association industry’s preconceived notions of membership, which is pretty scary when that’s the foundation of your business. OK ... I’ll quit jabbering and leave you with this excerpt, which I think is universal enough for every marketer---whether you’re working within a membership model or not. You know your business, but do you know your community? Building community online doesn’t have to be complicated, but it does take work. It also takes courage, knowing that you’re going to put your organization out there without knowing exactly how everything will unfold. You’re used to being able to predict the results of the work you do. You know your business---maybe too well. You may have a hard time seeing the possibilities created by online community. Or you may see so many possibilities that you can’t clearly see the easy wins and first steps. It's hard to step back, to see the big picture, when all you're thinking is: How do we start harnessing all this conversation? How do we embrace the messiness of community in a way that makes strategic sense for the organization, in a way that is mission driven? We have unofficial Facebook Groups, we're on LinkedIn, some of our staff are active on Twitter, maybe we should build our own homebase now. How do we make sense of it all? How do we give it direction? And it's easy to get caught up in the way you've always done business, closing yourself off from possibilities that may very well supplant those business processes. Moving toward a more social model of running an association stretches us. It tests our patience, and it's crazy scary. But when you really get a handle on your community, when you really know who they are, what they need, where to find them, how to get them talking, how to get them acting collectively, you learn what you're doing right and what you need to change, and you make more intelligent business decisions. Does having members make building community online easier? No. Not when membership is more a business model than a declaration of true connectedness. What do you think? Are you leveraging online communities in your business? Are you having more success within a closed community model or an open community model? You see the hurdles that membership organizations are facing---are you having similar challenges? 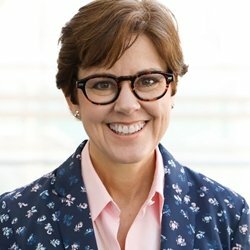 Ann Handley is a Wall Street Journal bestselling author who speaks worldwide about how businesses can escape marketing mediocrity to ignite tangible results. She is the Chief Content Officer of MarketingProfs, a LinkedIn Influencer, a keynote speaker, dog person, and writer.